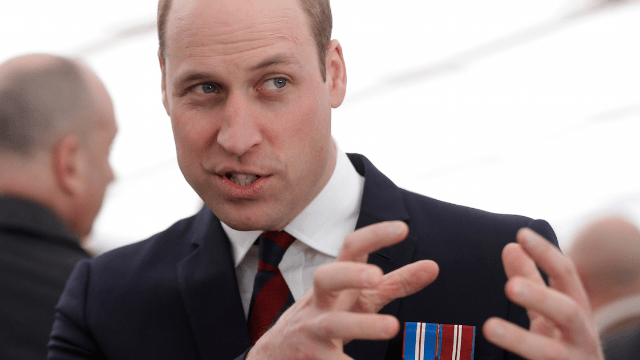 Prince William raising the roof at a nightclub is ‘dad dancing’ at its finest. Everyone loves a dad busting dad moves on the dance floor. Especially when that dad could be the future King of England. So people are going bloody bonkers over this TMZ video of Prince William raising the roof at a Swiss nightclub like any "cool dad" enjoying a night out on the town. Though the British press has come down pretty hard on William for slacking on his royal duties, Twitter thinks we need to let a dad live. #goodmorningbritain give prince william a break he's going to be king someday let him have some fun while he can! Why are people actually getting their backs up about Prince William going on a skiing holiday & getting drunk. He is not in power, chill. Wills raised the roof like he was straight outta Buckingham, or just the ‘90s, during a ski trip to Verbier, Switzerland with some buddies. Kate can rest easy, her Prince was thot-free while starting a personal dance revolution ... around 10:30 p.m.
"Did you talk to any thots at the club, Will?" the Duchess of Cambridge probably asked her husband when he got home. "No, my dearest Kate, I was thot-free!" he responded. And the royal family all lived happily ever after.